Credit for the first microscope is usually given to Zacharias Janssen, pictured at the left, in Middleburg, Holland, around the year 1595. Since Zacharias was very young at that time, it's possible that his father Hans made the first one, but young Zach took over the production. 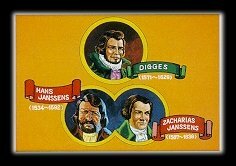 The first compound microscopes produced by the Janssen's was simply a tube with lenses at each end. The magnification of these early scopes ranged from 3X to 9X, depending on the size of the diaphragm openings. Hooke's remarkable engineering abilities enabled him to invent and improve many mechanical devices, including timepieces (for which he invented the spiral spring), the quadrant, and the Gregorian telescope. Perhaps even more intriguing than his actual inventions are the devices he designed but never built: he anticipated the invention of the steam engine, and as early as 1684 he described a working telegraph system. Hooke balanced his inventions with more pure research. Hooke improved on early compound microscopes around 1660. 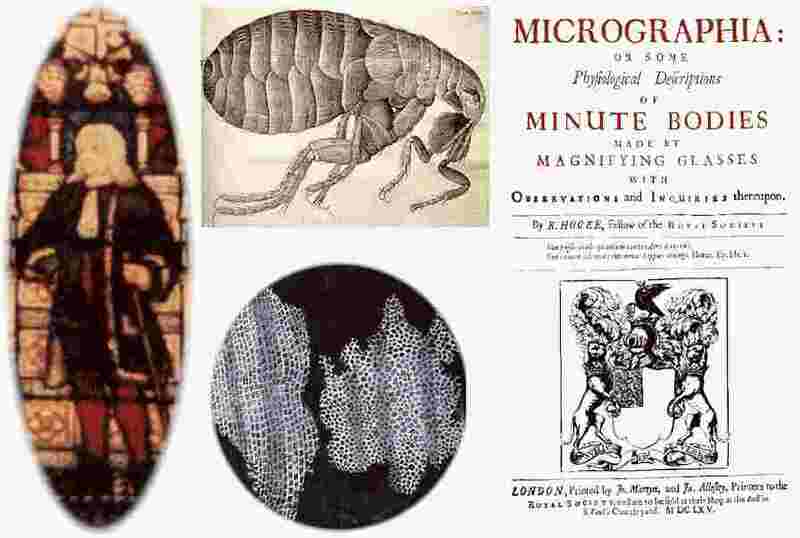 In Micrographia (1665), he coined the word cell to describe the features of plant tissue (cork from the bark of an oak tree) he was able to discover under the microscope. He put his extensive mathematical knowledge in formulating the theory of planetary movement, which provided a basis for Sir Isaac Newton's theories of gravitation. 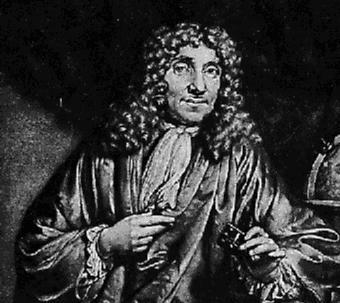 In 1667 he discovered the role of oxygenation in the respiratory system. Leeuwenhoek was a man with many talents, his most important attributes were creativity, power of observation, and ingenuity. Leeuwenhoek was a common man without any fortune or formal education, so he had to work for a living. Leeuwenhoek made simple (one lens) microscopes. He was not the first person to build a microscope, but the microscopes that he did build were the best ones for that time period. Leeuwenhoek was the first person to describe bacteria (from teeth scrapings), protozoans (from pond water), helped to prove the theory of blood circulation. He gained much of his inspiration form reading Hooke's Micrographia.